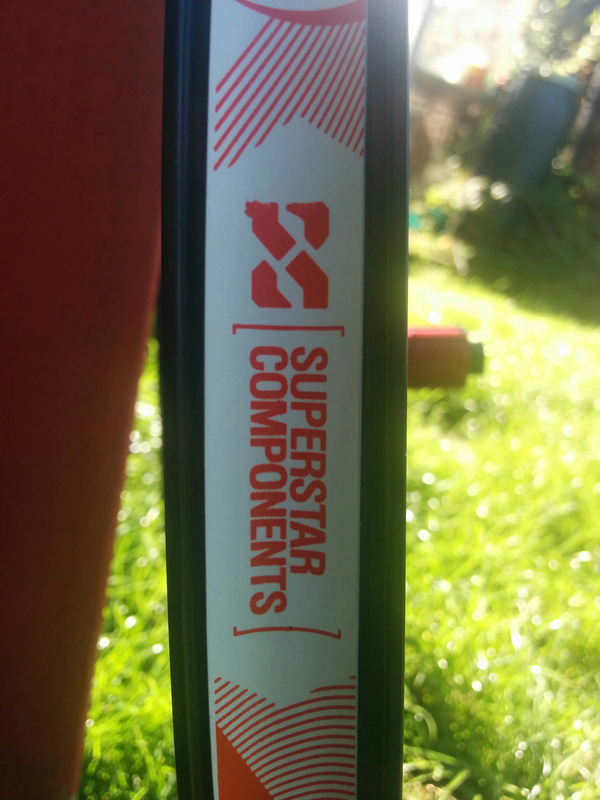 Superstar have got a good reputation for budget wheelsets that can take a bit of a beating and keep on working without too much maintenance. Their Tech 4 range was introduced in 2014 to replace a selection of older models at the lower end of their range – and they currently offer a choice of three rim widths ranging from 21mm to 25mm internal (with 27mm coming very soon apparently). 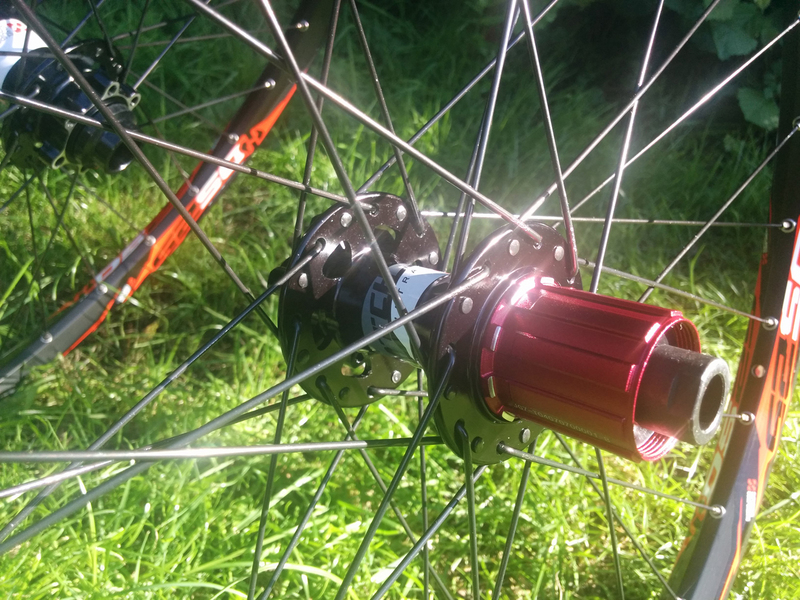 All of the wheels roll on their Switch Ultra hubs, which can take a 15mm, 20mm or QR axle on the front and either QR, 10mm, 142x12mm or 135x12mm on the rear. I’d ummed and ahhed for a while over what wheels to get for my full-sus 29er. I knew I needed something stiffer than my Mavic Crossmax ST hoops and I also knew a lot of riders were going for Chinese-sourced carbon rims from companies like Light Bicycle. 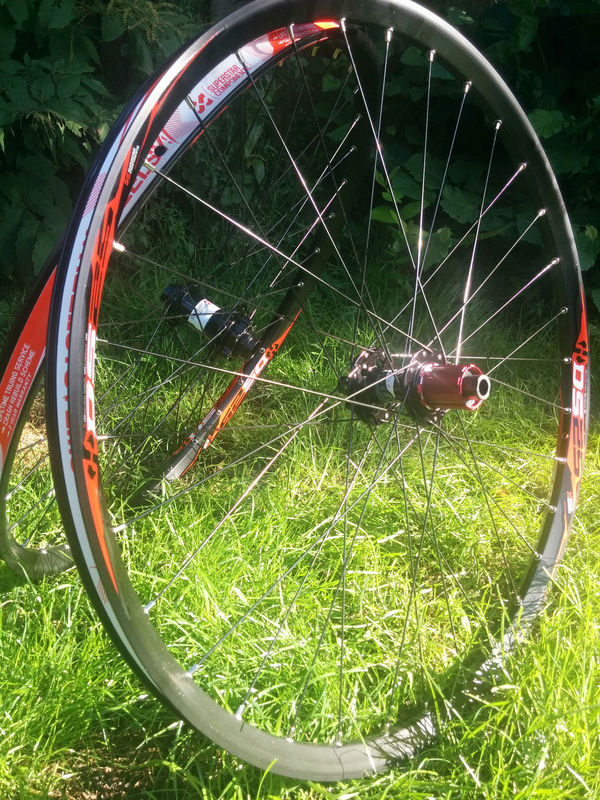 However my limited cashflow and the rocky nature of most of my riding led me to take the sensible route and buy the Tech 4 wheels instead – opting for the widest DS25 rims. To be honest the clincher was one of Superstar’s festive promotions dropping the price to an incredible £130. And yes, that is for the pair. Although they’re definitely at the budget end of the market, the wheels really don’t look cheap and they don’t feel cheap either. Everything is nicely finished, they were true and the spokes were all tight. They were also a doddle to set up tubeless using Superstar’s tubeless tape and valves (which cost extra). Once on the bike it was obvious that I’d added a bit of weight over the Mavics, but it was only really noticeable when initially getting up to speed (or when lifting it over gates). Superstar’s Switch hubs have a hard-earned reputation for reliability. The other really obvious thing was the extra stiffness, which meant that for the first time since I’d owned the bike it didn’t flinch or flex when hitting rock gardens or pushing into berms. Since getting the wheels early in January I’ve covered hundreds of miles on my rocky local northern English trails, ridden some of the gnarliest descents in the Lakes and even spent a week battering the wheels around Scotland’s North West Highlands. While not exactly being a big air merchant, the wheels have survived a few clumsy sideways landings and they’re still running true without a single dent. The bearings are also still running as smoothly as the day I got them. So are there any negative points? Well to be honest the only downsides are in comparison to other – significantly more expensive – options. The 27t freehub doesn’t engage as quickly as my old Mavics, but it’s never a problem. They’re not as light as a carbon-rimmed wheelset – but they’re probably as stiff as the lighter ones and I can let rip down the rockiest descents without cringing in anticipation of a very expensive shattering noise. And even if you do manage to trash them, Superstar offer free truing and discount replacement if the rim damage is terminal. Not that I’m expecting to have to take them up on it. PS. I have put a small mark on the rear rim now after flatting on a rocky descent while racing a mate, and continuing to ride in the hope that the tyre would seal. It didn’t, but the rim still didn’t dent – which I’m bloody impressed by to be honest. PPS. Yes that is the 650b wheelset pictured, I just bought a pair in the latest sale. They should be lighter and stiffer than the 29in set that I’ve been riding. The DS25 rims are a nice width and impressively sturdy.